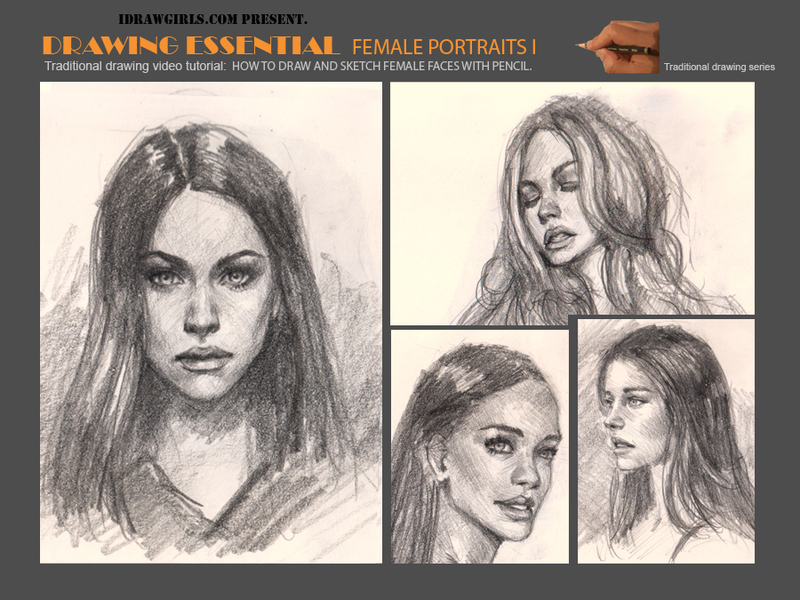 You will learn the professional way to draw and sketch female's portraits from front, 3/4, and profile view. 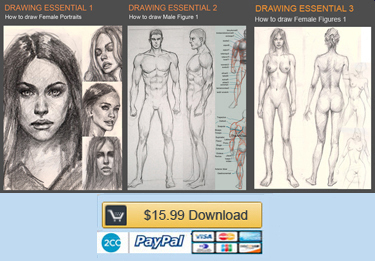 You will find yourself further into the right technique and mindset of how to draw and sketch female portraits. You will quickly learn the right foundation to further develop your artistic skill. 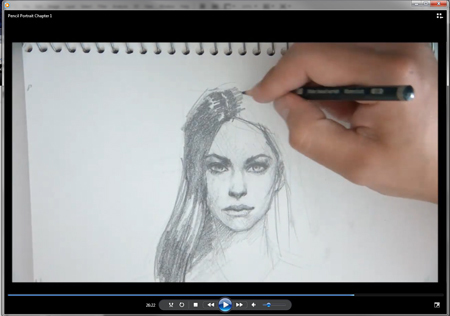 If you are new, my tutorial will make a HUGE improvement in your portrait drawing skill. You will learn to draw and Sketch with pencil techniques with variety of tips and tricks. You will get HD MP4 files (approx: 1280 x 720). 01) Draw portrait front view. 02) Front view dramatic lighting. 03) Draw portrait three quarter view. 04) Draw portrait three quarter view tilt. 05) Draw portrait side view profile. 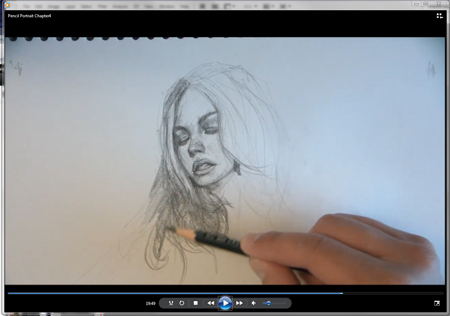 One of the most requested from viewers (YOU) is Premium Traditional Portrait Drawing Tutorial. 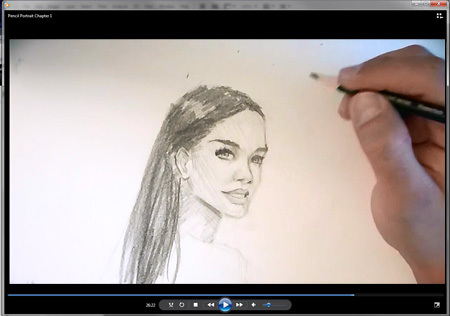 In this tutorial, you will learn the Quick and Easy way to draw portraits in FRONT, SIDE, and THREE QAURTER VIEW. You will learn to apply the most common essential light and shadow on facial features in portrait. 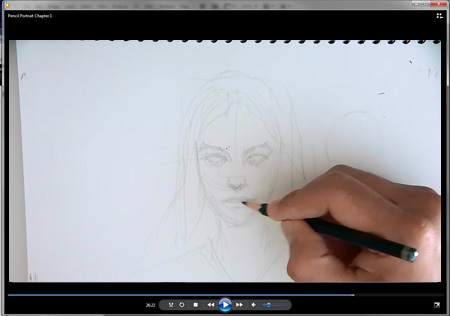 You will also learn the Correct Approach to Portrait Drawing foundation from rough sketch to finish drawing. Over the years, I have to develop quick and effective way to sketch, draw, and paint variety of facial structures for many character designs as a concept artist. I've captured its essence for you in this easy to follow Premium Video Tutorial. This complete package will get you going quickly and will even provide you the right foundation to further develop your artistic skill. 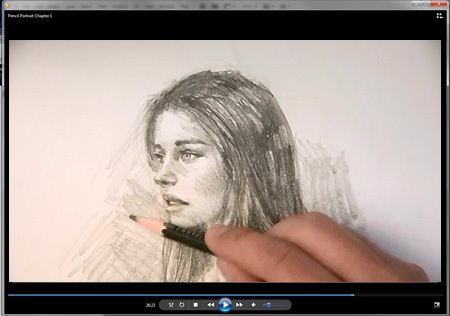 If you are new, my tutorial will make a HUGE improvement in your portrait drawing skill. Even if you are good, this tutorial is guaranteed to boost you to the NEXT LEVEL! If you are an ARTIST and looking to IMPROVE, This Tutorial is for YOU! The main focus will be around the female portraits itself. 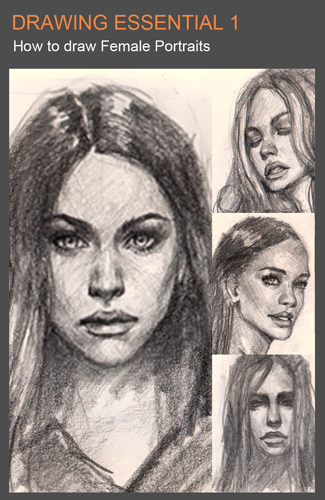 In this tutorial you will find yourself further into the right technique and mindset of how to draw and sketch female facial structure in the traditional way.